Performance Company enrollment is for the whole 2018- 2019 school year. Please consider joining a company as a school year long commitment. Parent participation is vital. CPC and JPC event dates will be sent to members. THIS YEAR'S THEME: LIFE IS A CIRCUS! The CORNERSTONE PERFORMANCE COMPANY is designed to be a musical theatre program for students who are passionate about performing. In addition to taking weekly technique classes in dance/theatre these students come together once a week to focus on performance technique and build skill in quick paced choreography and memorization as well as comfort and preparation in auditioning. Ultimately these students commiserate as a troupe to achieve a performing arts repertoire that can be performed anytime, anywhere. Theatre and Dance are collaborative arts (think "team sport") so great attendance is vital. We will host a fun performance as a fundraiser to increase CPC assets each year. Students must be at least six years old and take direction well. The troupe goes to age 18. SEPTEMBER 29, 11:00 FALL FOR FAIRFAX! DECEMBER 19, 7:15 SWEET FROG! For students who are passionate about dance and performance. In addition to taking at least one dance technique class weekly students will learn new choreography and dances to present for special performances. Good attendance is vital. SEPTEMBER 29, 11:30 FALL FOR FAIRFAX! 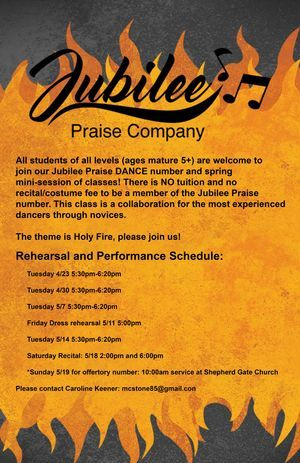 Our goal is to spread good news of Christ through the performing arts. Please sign up for the company and we will send emails for rotating dance and drama opportunities with a set rehearsal schedule that lasts for a short period of time. You can sign up for opportunities based on your interest! 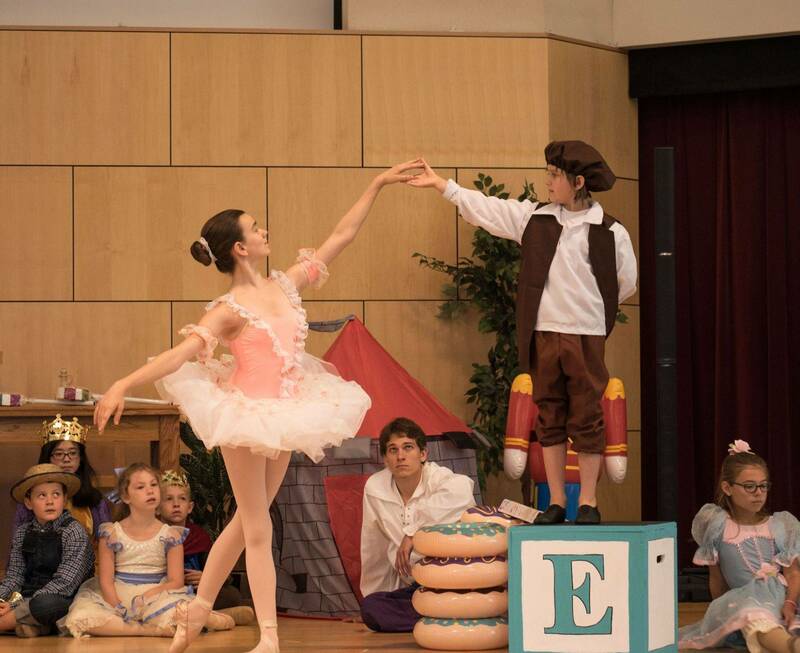 We have presented everything from praise and worship dances, short Biblical dramas and in our most recent season presented the play THE MAGICIAN'S NEPHEW, the prequel to THE LION, THE WITCH AND THE WARDROBE with the theme of God's creation. This program is volunteer run and does not require regular tuition. Donations to Shepherd Gate Church are accepted and greatly appreciated.